Filisur station is in the Swiss canton of Graubünden on the Rhätische Bahn an extensive narrow gauge line that winds is way around and through the Alps. 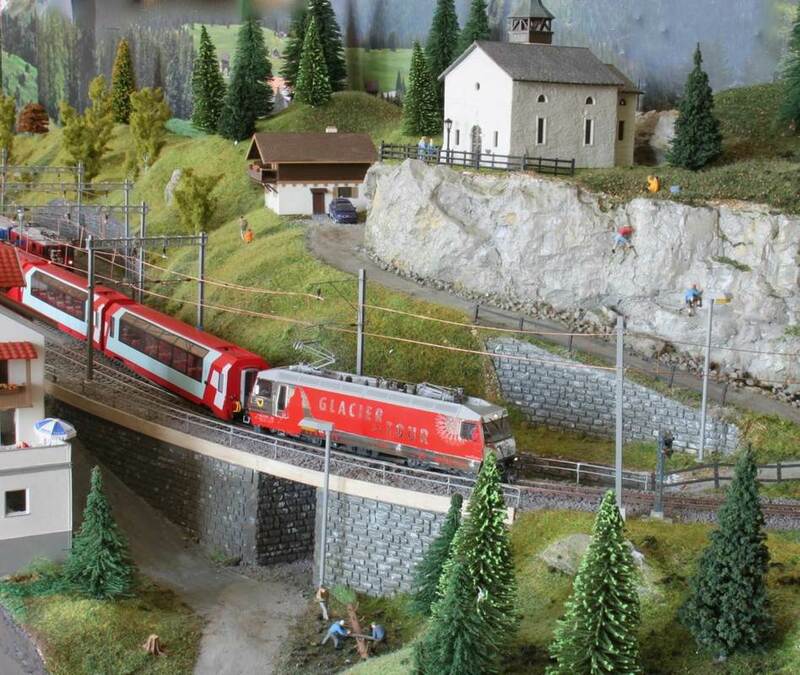 The model was developed over a period of 6 years after a visit to Graubünden in 2005 and occupies a space of 10’x4’. 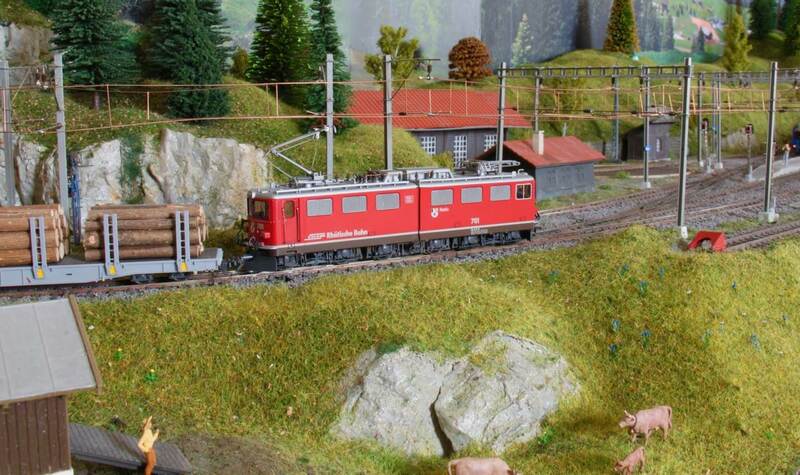 The scale is HOm – a metre gauge version of the continental HO gauge which scales at 3.5mm to the foot. 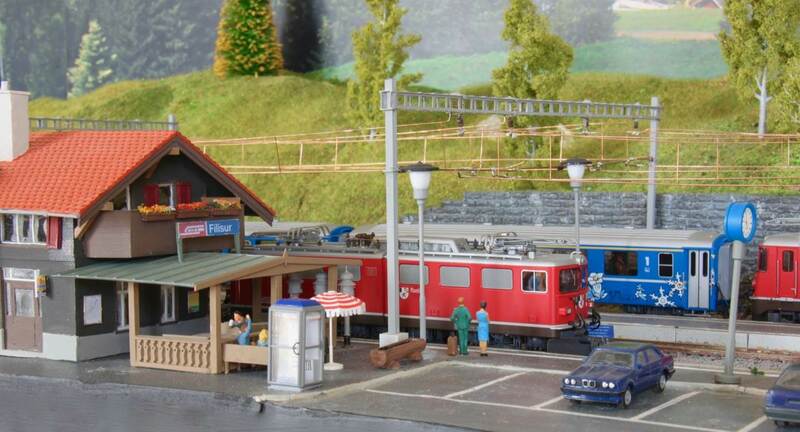 Within the space available the station and track of the original had to be reduced but the key components of the real station and track layout have been retained. Most of the stock is from a German company called Bemo. The track is Peco. The main buildings were scratch built from plastic sheet and are based on the real buildings. From the outset the railway has been DCC operated. 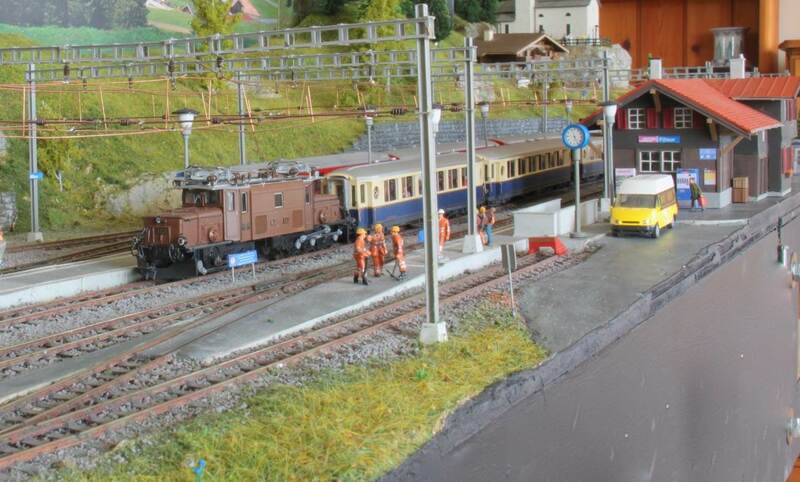 The railway featured as railway of the month in the December 2012 edition of Continental Modeller. 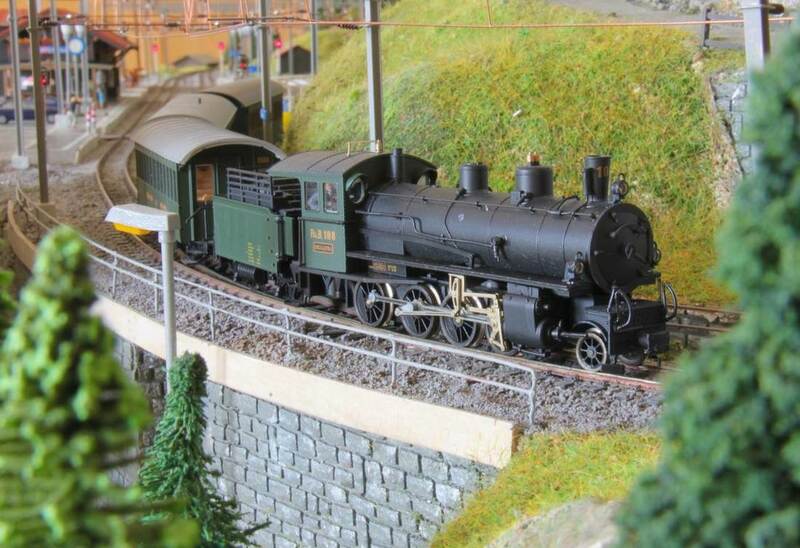 In 2016 work started to convert the layout to an exhibition layout resulting in the layout having its debut at the 2017 CVMRC annual exhibition. 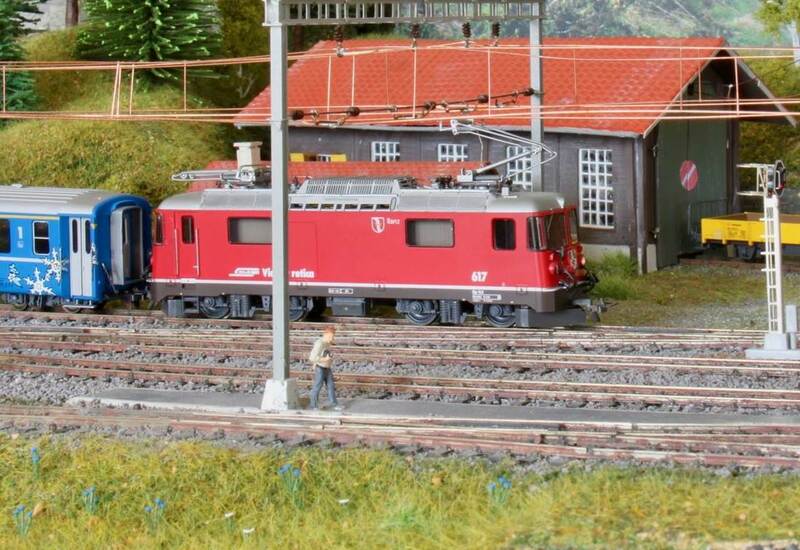 A follow up article on the conversion to an exhibition layout appeared in the September 2017 edition of Continental Modeller.